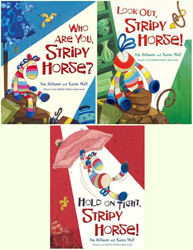 Bag your own Stripy Horse! 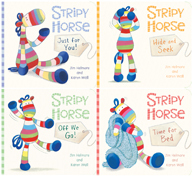 Fans of the Stripy Horse books can now get their hands on a range of limited edition canvas bags printed with their favourite character! 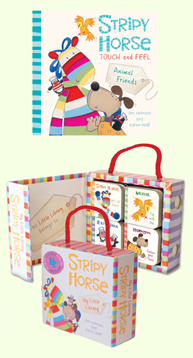 Each bag comes in two sizes: small totes for little ones and large shoppers for adults. For budding artists, there’s also a design your own bag set inspired by our November workshops in Italy. 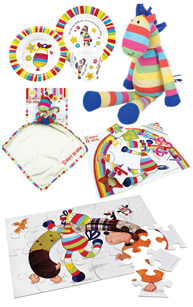 The tote bags were designed specially for Coccinelle by Karen, and sales aid the Italian charity Magica Cleme who provide entertainment and fun days out for the families of children with cancer. You can buy online from Coccinelle here, or at the Coccinelle shop on Kings Road in London.